It was the lowest unemployment rate in Brazil for the month of March since 1998, when it was 15.1%, even although unemployment in March rose to 13.7%, from 13% in February. The numbers are from a survey by the labor-union-linked Department of Socio-Economical Statistics and Studies (“DIEESE”), which took place in six metropolitan regions (São Paulo, Salvador, Belo Horizonte, Distrito Federal, Porto Alegre and Recife ). The total number of jobless there is slightly over 2,760,000. DIEESE estimates the number of people holding jobs in those metropolitan regions at over 17,400,000. Between February and March, the DIEESE survey found that there was little variation in average take-home wages. After a timid rise at the beginning of the year, the Brazilian industrial sector now shows strong growth. According to a survey by the National Industrial Confederation (CNI), its production index rose from 49.2 in January and 50.8 in February to 62.9 in March. When the index is above 50 it indicates growth. Thus, the average production index for the first quarter was 55.5, the best since the third quarter of 2004. A spokesperson for CNI says the numbers show that for all effects Brazil has come out of the Great Recession with flying colors. The percentage of installed capacity being used is now running at 74%. Just before the crisis, during the first quarter of 2008, it reached 75%. Confidence in the Brazilian industrial sector has remained steady (and high) during all of the first quarter. The CNI confidence index was 66.1 in March, compared to 66.2 in January. The CNI surveyed 1,277 companies (677 are small businesses, 367 are medium-sized and 183 are corporations). The survey took place between April 5 and 15. How does Brazil measure unemployment? If someone works one day does that count as “employed”? I doubt anyone in all of Brazil actually believes that just 15% of Brazilians are unemplolyed. I doubt they even have a concept of “underemployed.” Go to the small towns in the interior of the country. If an entire family works on a farm (een a tiny one), even if they make no money and can barely survive, are they counted as employed? Maybe the fact that more PT leaders are getting jobs counts for something. Dr. Ahmedinejad welcomes back ch.c. Where have you been sweetheart? WHAT A LIE !!!!! WHAT A LIE ! Suffice to read the March 2008 and March 2009 unemployment stats. Just scroll the news in this site. 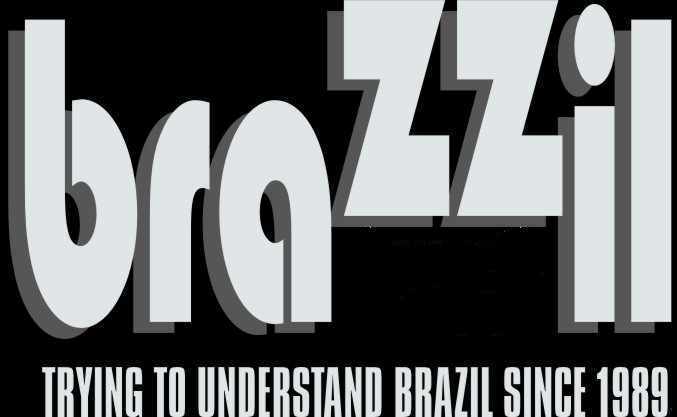 A typical Braz-zero LIE ! And I challenge anyone to prove me wrong. Never ever trust a Brazilian…proven one more time ! Lula or Cardoso? Who Should Get the Credit for a Better Brazil?